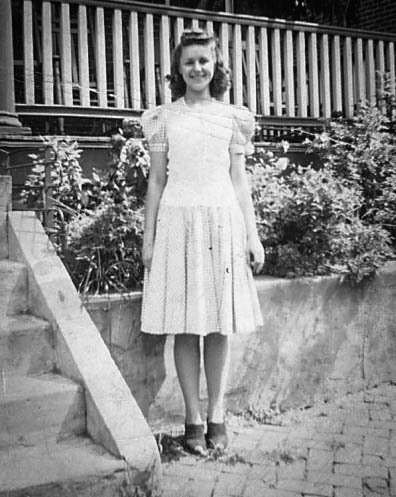 This is a picture of my grandmother, Stephanie, when she was about 16 years old (she’s 91 now), which would date sometime in the late 1930s. I absolutely adore this outfit since I’m a huge sucker for puffed sleeves and gingham. I also really love the dropped waist which is a silhouette not seen to often lately, but I’d like to start incorporating it into my handmade garments. Seriously, though, check out the shoes. It’s hard to tell if they’re peep toe, or the toe is finished off in a contrasting color, but either way so chic, and so perfect for today. Have a great Monday! xo, S.